Update: Stephen Colbert to replace David Letterman on "Late Show"
It's the end of an era: David Letterman announced Thursday that he's retiring from CBS' "Late Show" sometime next year. He made that announcement during the taping of his program Thursday afternoon at New York's Ed Sullivan Theater. "The man who owns this network, Leslie Moonves, he and I have had a relationship for years and years and years, and we have had this conversation in the past, and we agreed that we would work together on this circumstance and the timing of this circumstance. And I phoned him just before the program, and I said 'Leslie, it's been great, you've been great, and the network has been great, but I'm retiring,'" said Letterman. Poll: Who should replace David Letterman? "I just want to reiterate my thanks for the support from the network, all of the people who have worked here, all of the people in the theater, all the people on the staff, everybody at home, thank you very much," he said at the taping. And in true Letterman-style, the Indiana native made a joke about band leader and "Late Show" sidekick Paul Shaffer: "What this means now, is that Paul and I can be married." Letterman, who's the longest running late-night talk show host in U.S. TV history, said, "We don't have the timetable for this precisely down -- I think it will be at least a year or so, but sometime in the not too distant future, 2015 for the love of God, in fact, Paul and I will be wrapping things up." Les Moonves, president and CEO of CBS Corporation, said in a statement: "When Dave decided on a one-year extension for his most recent contract, we knew this day was getting closer, but that doesn't make the moment any less poignant for us. For 21 years, David Letterman has graced our Network's air in late night with wit, gravitas and brilliance unique in the history of our medium. During that time, Dave has given television audiences thousands of hours of comedic entertainment, the sharpest interviews in late night, and brilliant moments of candor and perspective around national events. He's also managed to keep many celebrities, politicians and executives on their toes -- including me." Moonves added, "There is only one David Letterman. His greatness will always be remembered here, and he will certainly sit among the pantheon of this business. On a personal note, it's been a privilege to get to know Dave and to enjoy a terrific relationship. It's going to be tough to say goodbye. Fortunately, we won't have to do that for another year or so. Until then, we look forward to celebrating Dave's remarkable show and incredible talents." The late-night talk show host, who will celebrate his 67th birthday next week, made his debut on the "Late Show" on Aug. 30, 1993. Letterman got his television start in 1978 on the CBS variety series "Mary," starring Mary Tyler Moore. Months later, he paid his first visit to "The Tonight Show Starring Johnny Carson" -- marking the first of 22 appearances. He also guest-hosted "Tonight" numerous times. In 1980, Letterman started hosting the Emmy Award-winning morning comedy-variety program, "The David Letterman Show," which ran for three months on NBC. He followed that up with "Late Night with David Letterman," which premiered in February 1982 and ran for 11 years. In 2011, Letterman received the Johnny Carson Award for Comedic Excellence at Comedy Central's first annual The Comedy Awards. Letterman has also won two American Comedy Awards as funniest male performer in a television series. He was honored as "Favorite Late Night Talk Show Host" at the 31st annual People's Choice Awards in 2005. Letterman was one of the 2012 recipients of the Kennedy Center Honors, where he was called "one of the most influential personalities in the history of television, entertaining an entire generation of late-night viewers with his unconventional wit and charm." Over the past few months, there's been a couple of shake-ups in the late-night world, with Jimmy Fallon taking over for Jay Leno on the "Tonight Show" and Seth Meyers slipping into the "Late Night" slot at NBC. So, it's not surprising to see a bit of change in the landscape at CBS. 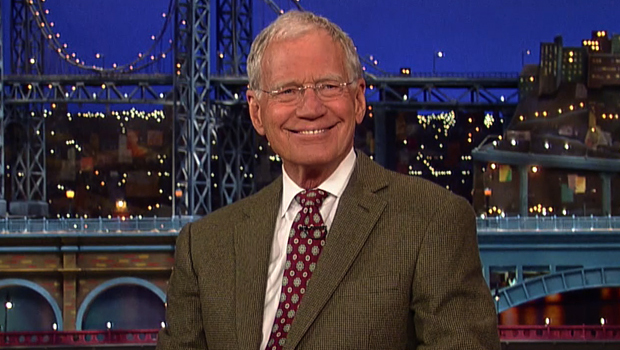 Tell us: Are you sad to see Letterman retiring in 2015?